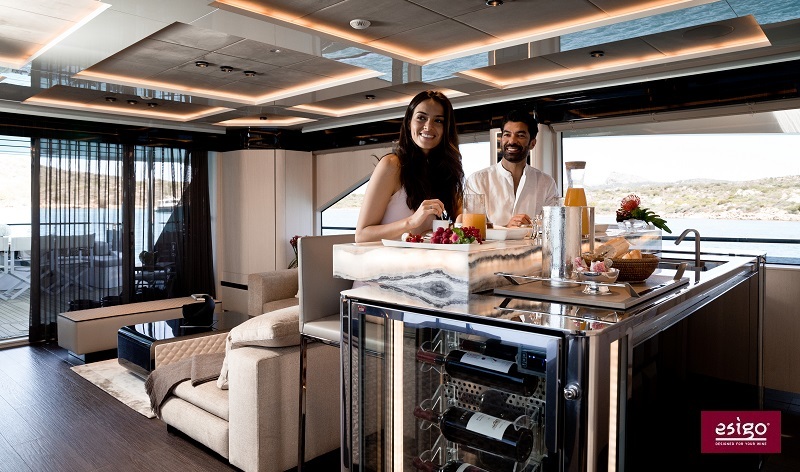 Contemporary design wine cabinets for luxury yachts and boats, Made in Italy wine racks, which guarantee optimal preservation of the wine when sailing. 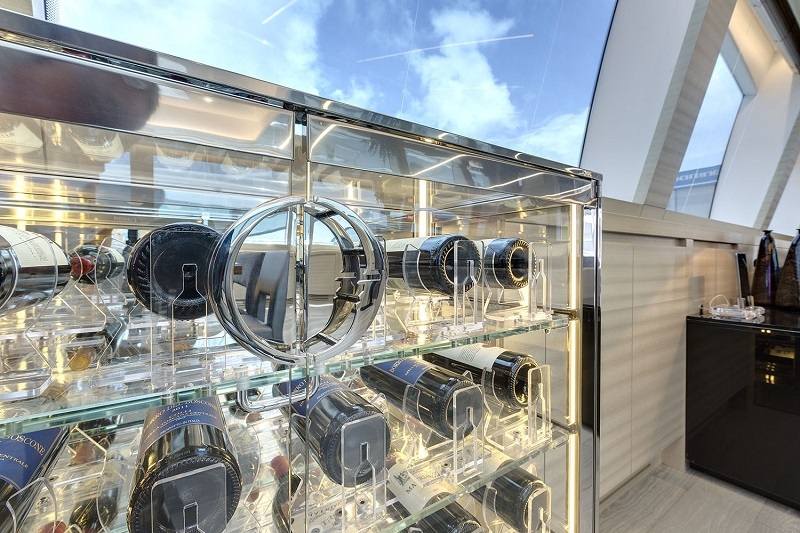 Perfectly customized to fit the design of your yacht or boat, Esigo's wine cabinets are built using high quality materials, in order to preserve your wine bottles when sailing. Esigo's wine racking system are ideal to manage a few of your best wine bottles, but your whole wine bottles collection, too.